If you’re anything like me, packing a healthy, flavorful lunch day after day is a surprisingly difficult task. So I was pretty excited when I found Beating the Lunch Box Blues: Fresh Ideas for Lunches on the Go! by J.M. Hirsch. Utilizing a combination of leftovers and fresh ingredients, Beating the Lunch Box Blues was created not only to provide recipes, but to give inspiration. This book gives very simple, practical advice. As I perused the pages, I had a lot of a-ha moments. Why had I never thought that I should cook a little extra couscous to save for lunch that week? Why did I bring leftovers exactly as they had been cooked the night before? Why couldn’t I bring the leftover chicken from dinner as part of a salad for lunch? (I’m clearly not a creative lunch maker.) And why do I never plan lunches, but just toss them together as I’m running out the door? Hirsch’s recipes focus on creating variety in your meals and planning ahead. This will save time in the end and might prevent you from buying that bag of chips from the vending machine. 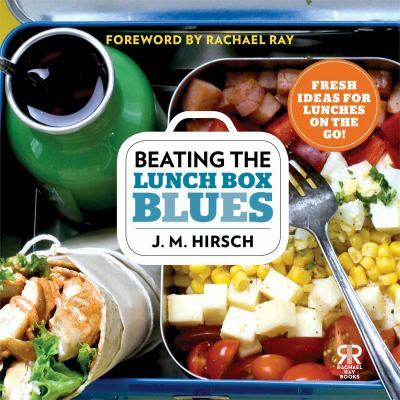 If you’re looking for additional ideas check out Hirsch’s blog: www.lunchboxblues.com or these other lunch box cookbooks from DPL: Best Lunch Box Ever by Kate Sullivan Morford and Vegan Lunch Box by Jennifer McCann. I don’t know about you, but the warmer weather we’ve been having has made me realize that “swimsuit season” will soon be upon us! If you’re also looking for some help or motivation in getting a little toned up before it gets really hot out there, check out these titles on our “New Materials” shelves. Pilates Practice Companion is a beautiful book with tons of color photograhps. The book has several different sections featuring exercises at different levels: beginning, intermediate and advanced, as well as other chapters, such as “Maturing with Pilates.” It also has two-page spreads with 15, 30 or 45-minute routines which would certainly simplify any home workout. Another advantage is that it also shows photographs of “common faults.” When I first starting taking Pilates classes, the instructor would come around and correct our form. Often I thought I was doing a move correctly, only to have her alter my position by what seemed like an inch or less, taking me from “oh, this is okay” to “ohmygosh this is hard!” A final plus is that the author, Alycea Ungaro, is well-known in her field, having written several books on the subject as well as having trained many celebrity clients, such as Madonna. Full Body Flexibilty by Jay Blahnick is another great book whose message is enhanced with wonderful photos. Our staff is now doing stretching exercises at work each day (just for a few minutes) but those interested in taking it to the next level would be well-served by this resource. One feature that’s particularly useful is that the stretches are divided by different sections of the body. So, for example, if you had back or hip problems, you could concentrate on those stretches. I think this book will prove popular: I had it out at a public desk while working on this blog and a patron asked if she could check it out. Absolutely. That’s what we’re all about! In our next food focus post here at Davenport Library, let’s focus on quick and healthy. Don’t worry it’s still delicious! Here we are, teetering on the edge of the biggest season-of-excess of the year. Soon we’ll be under constant temptation – table-groaning feasts, endless varieties of dips and snacks, as-far-as-the-eye-can-see plates of cookies. But squeezing some healthy meals in amongst the chaos isn’t impossible and avoiding even a few fast food/pizza delivery options will pay off – maybe your January resolution to lose weight won’t be so daunting! Cooking Light comes to the rescue with The Essential Dinner Tonight Cookbook. Great for any time of the year, the quick and simple recipes will fill you up without sacrificing good taste. A lot of the recipes are old favorites that have been reworked to be healthier – meatloaf, cheeseburgers, pizza – as well as lots of fresh new ideas. Preperation is straightforward and quick – most make perfect weeknight meals. Menu ideas are included for each dish and a “game plan” to help you organize and get everything on the table at the same time. Cooking healthy couldn’t be easier – or tastier!